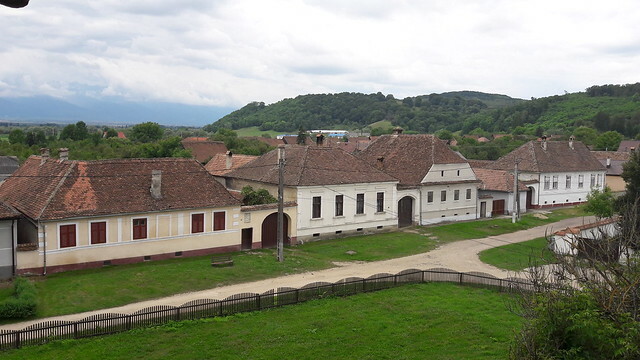 Cincșor is a village in the Brașov county, where the Hârtibaciu and the Transylvania plateaus meet. 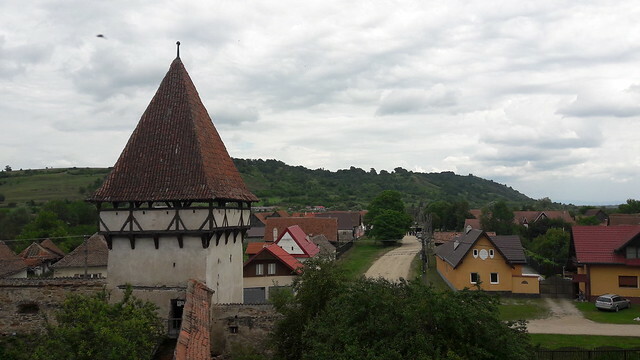 The village has had over the centuries many names, both in Romanian and German (Cincu Mic, Șincșor, Șinchișor or Kleinschenk) all meaning approximately the same = the small inn. Writings about the existence of the village first appear in a Pope document in the year 1377. But it seems that the area had been inhabited before this time, as archeologist had found a Roman Castro here. The building of the church started in the XIII century. It was first a basilica and then, by the year, 1432, it turns into a Late Gothic style church. 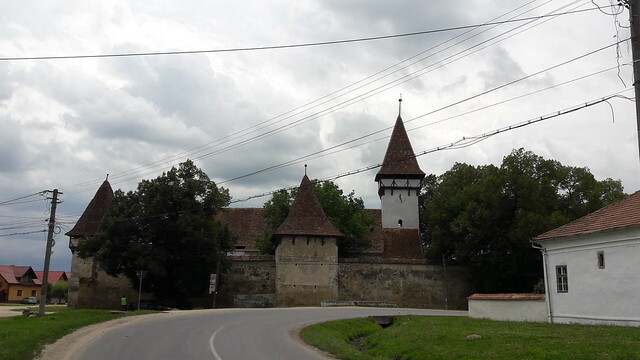 The attacks of the Turks and Tatars in Transylvania required that the church be fortified. By the end of the XV century the church was fortified with a thick outside wall shaped as a polygon and 4 defense towers. 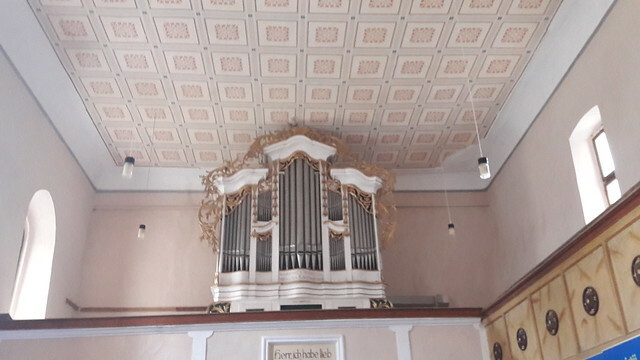 The inside of the church, covered with a flat ceiling with a very nice decoration, you can still find the organ from 1805 and an altar painted in 1868. An older one was initially in the church, painted in 1655, but that one is now to be found in the Brukenthal Museum in Sibiu. 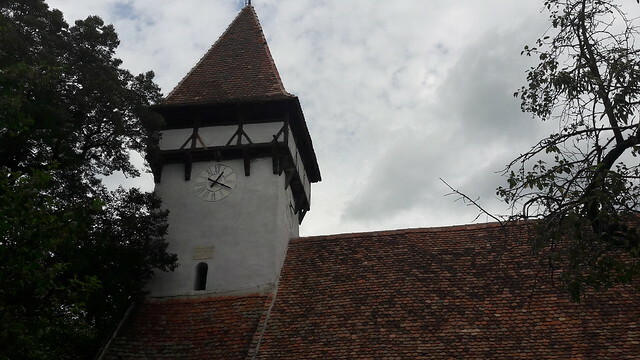 A small bell from the year 1499 is still to be found in the church tower. Going up in the church tower is something you have to do, as it offers such a nice view of the village. 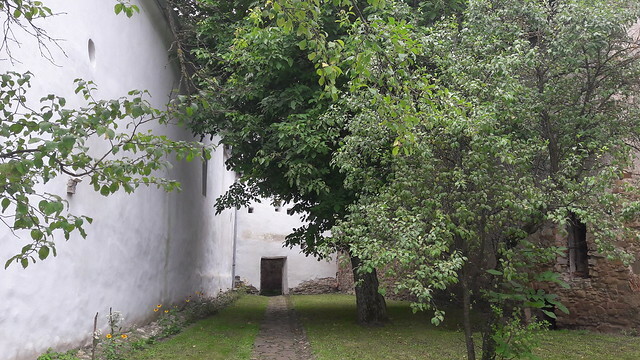 The church is in a good condition, the interior garden is lovely for a walk. The church is now open for tourists. When we got there, we found it open as there were already other tourists visiting, but it’s very likely that you will find it closed. So better call this number and the lady taking care of the church will come and open the gates (0040-268-517-515). 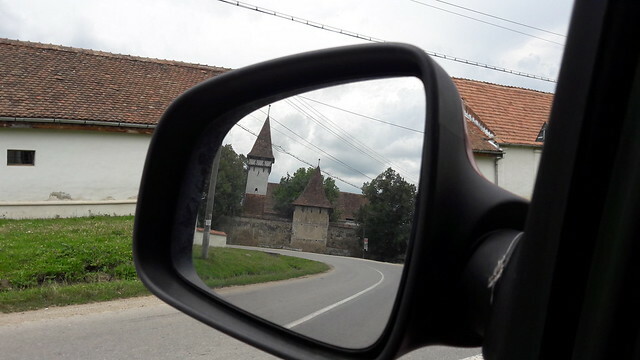 If you consider spending the night in Cincșor, you can try the Transylvania Guesthouse. We haven’t tried it yet, but read only good things about it. The guesthouse also has a very nice restaurant, so if you’re in the area you can give it a try.